Call the Dog Control Officer for your town. 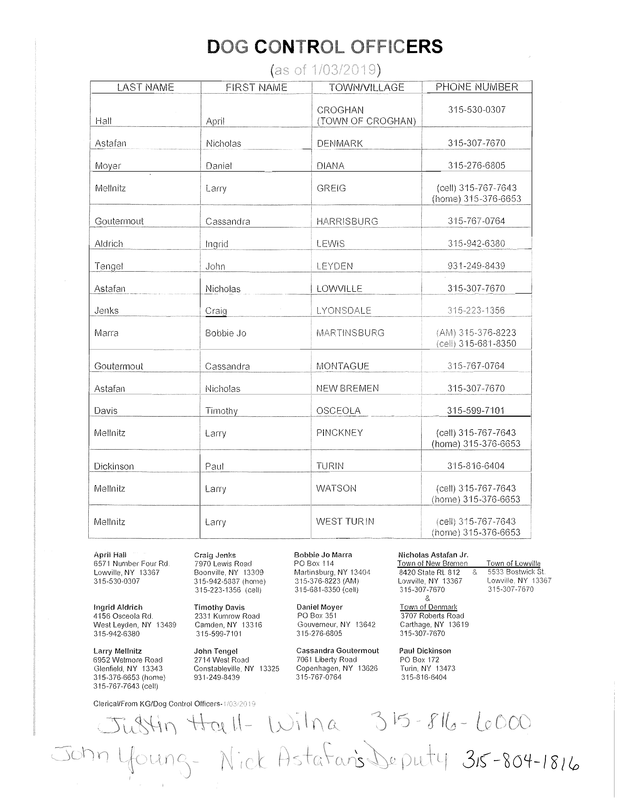 Check the Dog Control Officer list for contact information. For your safety and the safety of the dog, please call your local dog control officer and they will bring it to the shelter. Do not pick it up and bring it to the Shelter, it must be brought in by the proper Dog Control officer. 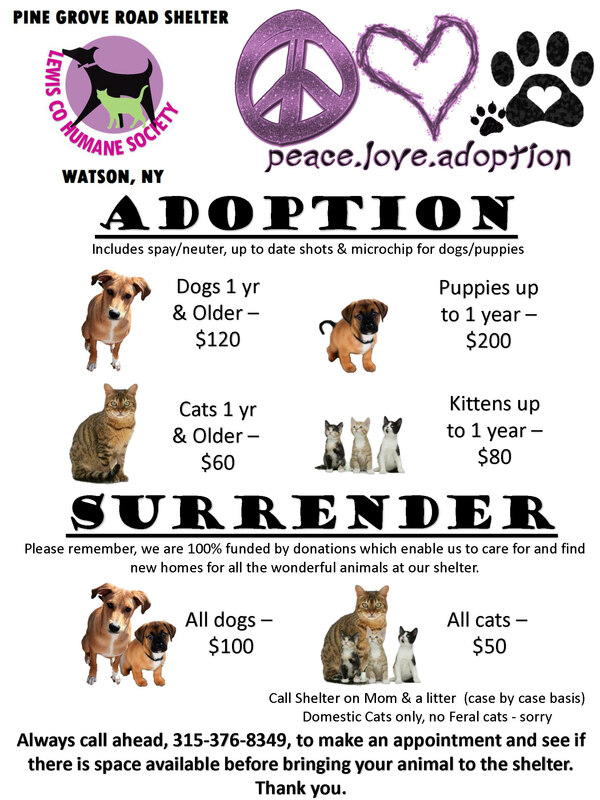 We cannot accept dogs that are not brought in by a dog control officer without a surrender fee. Remember, for safety's sake, if it is not your dog leave it and call a dog control officer. 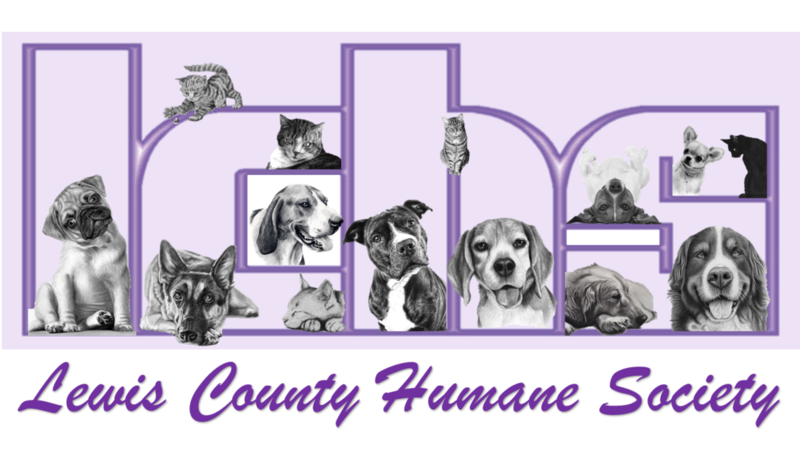 Always call ahead (315-376-8349), to make an appointment and see if there is space available before bringing your animal to the shelter. Thank you! Please remember, we are 100% funded by donations which enable us to care for and find new homes for all the wonderful animals at the shelter. Domestic cats only. Sorry, no feral cats. Call shelter regarding mom & a litter (case by case basis).